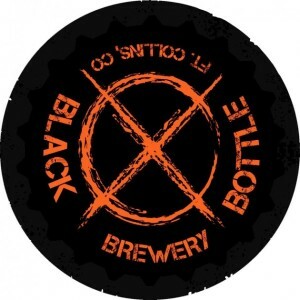 Black Bottle Brewery first opened its doors back in December of 2012. After home brewing for years Sean Nook, the founder and head brewer, pulled a group together to make it a way of life. And why call it Black Bottle you might ask? Cause’ calling it any other color of bottle just wouldn’t sound as cool. Located in the heart of Midtown Fort Collins, CO. Black Bottle Brewery not only brews awesome beer in its basement but offers a full food menu through its restaurant. With 40 taps we offer a wide selection of our own pride and joy but don’t shy away from opening up our taps to our friends around the industry. Bringing in national favorites such as; Firestone Walker, Jolly Pumpkin, and Deschutes, plus you’ll often find a few taps pouring beers from international breweries. In addition, our coolers are always stocked with a crazy good selection of 30-40ish bottled beers. And if you feel like kickin’ old school, you can ask for that 40oz of Old E in a brown paper bag. We won’t judge, promise. This list includes beers brewed currently, previously, or seasonally by Black Bottle Brewery. Contact the brewery for current beer availability.